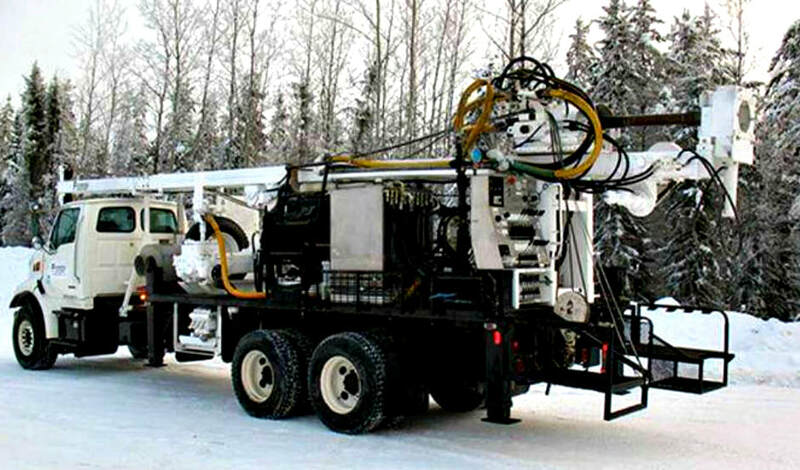 The local Well Drilling Cost is available online for complete water well systems. Are you preparing to drill a water well soon? We provide quick online well drilling quotes. Local property owners have full access to the current local well drilling costs without the need for a prior sales visit on your property. For current Well Drilling costs we need a few details about your property when sending a request for the cost to drill a well. People often ask how to pump a water well? They may not always understand that pumping a water well greatly influences the surrounding aquifer. During the process of pumping a well, the water level within the well is drawn-down as the total accumulated water in the well column is pumped down. Once the all the water in a well is pumped-out, the pump directly draws water from the aquifer as there is not any remaining water stored in the well or the casing. A water well not only produces water but it also serves as an in-ground reservoir that stores the produced water. When there’s no longer an accumulation of water to draw from this causes the groundwater from the aquifer that’s encompassing or supplying the well to be directly drawn into the well. The more distant water surrounding the well begins to move in slowly to not only replace the water that is immediately required but to recharge the water well back to its normal static level. Depending on the output or yield of a well, the depth of a water well, head pressure and the normal occurring static water level of a well it could take a short span-of-time to many hours or even longer for a well to fully recharge to it’s natural capacity after a complete draw-down. When the volume of water being extracted from a well through pumping is greater than the normal pace of groundwater movement within the aquifer that the well is installed it results in what is referred to as a cone of depression, or a lower pressure zone around the well to be created. This depression is the deepest at the well and gets shallower the greater the distance-away from the well. The harder and longer a water well is pumped, the greater the depth and distance of this zone. If a water well pump has greater pumping capacity than the aquifer itself, the groundwater can be extracted at a faster pace than the aquifer can naturally recharge itself and, over-time, “DE-watering” occurs. 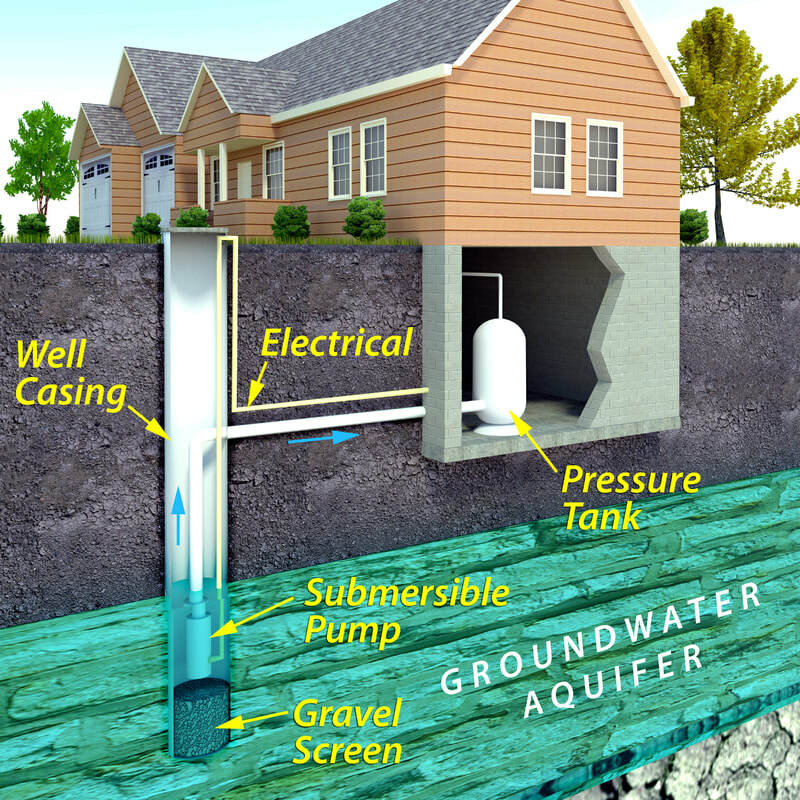 DE-watering a water well is also caused by extended over-pumping which is the number-one cause of water well failure. When a running well pump that is drawing-down the water level in the well it’s referred to the pumping-water-level. The pumping rate of a well should always be restrained to stabilize the draw-down of the pumping water level whether it’s a rock hole or a screened well. Bedrock wells should not be over-pumped meaning that water levels should not be drawn-down past the uppermost or predominance water bearing fracture because turbulence at the borehole/well interface could damage the aquifer formation and result in excessive turbidity in the water. Over-pumping bedrock wells may also cause the fractures to lose pressure and even collapse, in time this can greatly reduce the original production of well. When drawing-down a screened well it’s important that the water level remains above to above the in-take part of the water well, adjacent to the perforations in the casing or the screen slots. Pumping water down to a level that exposes the well screen, possibly permits additional oxygen to enter the aquifer which aerobically enhances the growth of iron or sulfate reducing bacteria, eventually this will may greatly restrict the flow into the well or plug the well screen. Plugging of a water well screen can also occur if a well is drawn-down allowing water to freely to enter the water well too quickly, without head pressure to hold back or restrict flow. This causes the minerals that are naturally dissolved in the groundwater, such as iron, calcium, magnesium and to a lesser degree manganese to oxidize and precipitate out-of-solution becoming a solid which deposits as mineral incrustation on the water well screen. 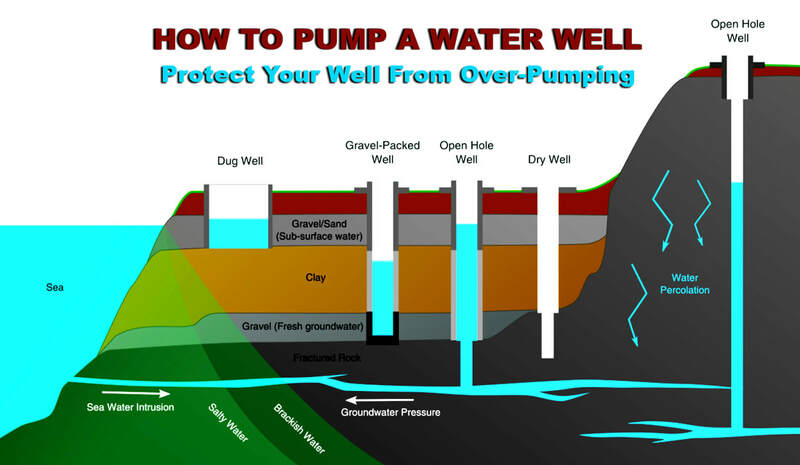 Wells that are completed in unconsolidated aquifers such as sands and gravels with an open bottom and without a well-screen, should not be pumped at a rate that could cause the heaving of aquifer materials into the well which will often result in the locking up of a pump. Heavy pumping of a water well can draw sediment into a well with the water, not only leading to possible well problems but sediment can quickly cause damage to a well pump from the abrasion of sediment. Submersible pumps are designed to be fully submerged in water which is required to help the pump motor remain cool, the pump motor is the bottom end of two-part submersible pump. If water does not surround a pump motor while operating it can overheat. Overheating is also caused from excessive pump cycling.